In my quest to find healthier recipes to take us through the week, I came up with this idea to mix edamame and spinach to make parathas. I usually use these beans in pasta. I have used them in paratha once when I had combined them with Beetroot. They turned out very well. So today I decided to go green. 🙂 I decided to make spinach and edamame parathas. My husband would never eat it if he knew what was inside beforehand. He is not a big fan of Edamame. So I let him have a bite, got his reaction and then revealed the true ingredients to him. He was pleasantly surprised to know the contents and was asking for more! I got my verdict right there. 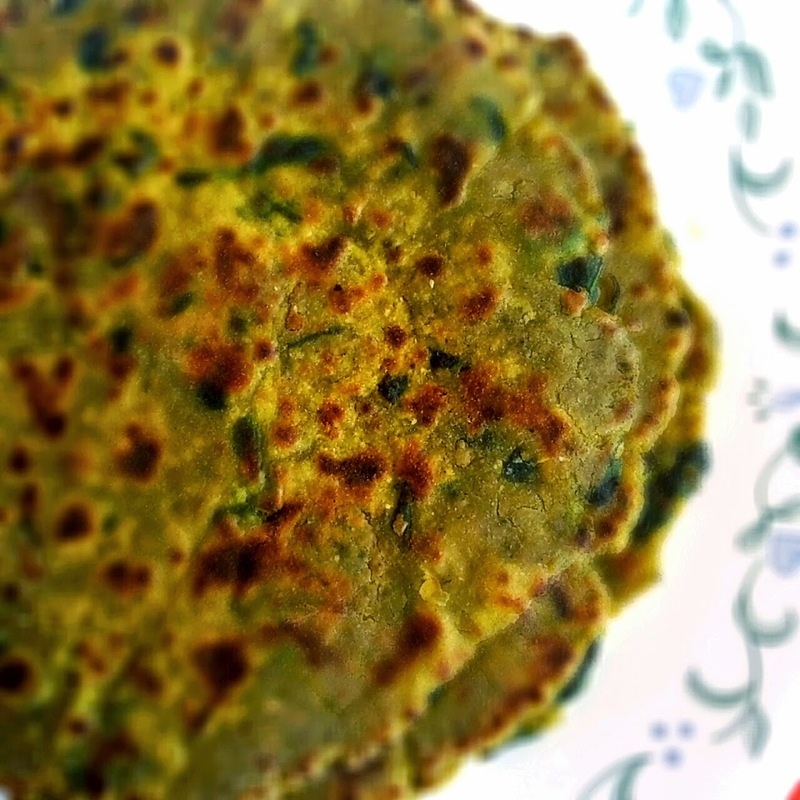 Go ahead and try these yummy parathas at home and let me know how they turn out!